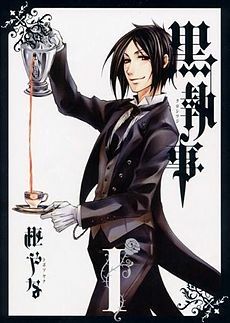 Black Butler is by far one of the best animes you can find. 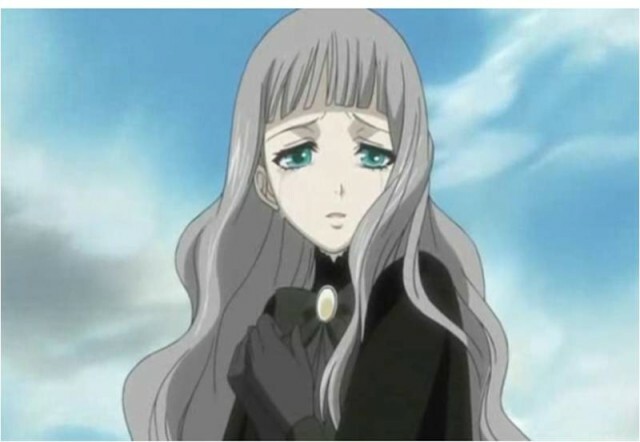 Unlike most animes, the setting is not in Japan. 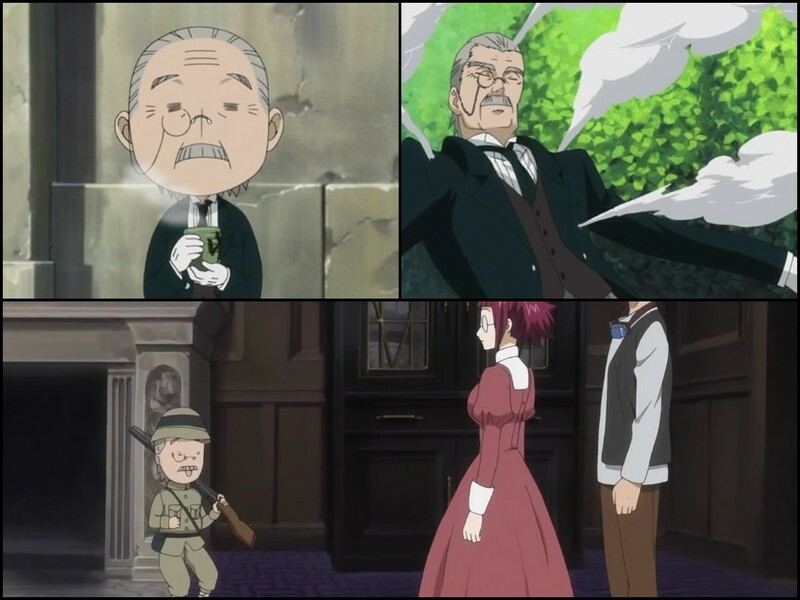 Instead it takes place in London, England. 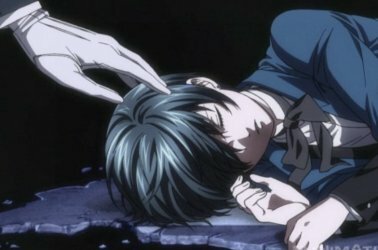 Ciel Phantomhive had lost both his parents in a horrible accident. But he knows better, his parents were murdered by an unknown party. 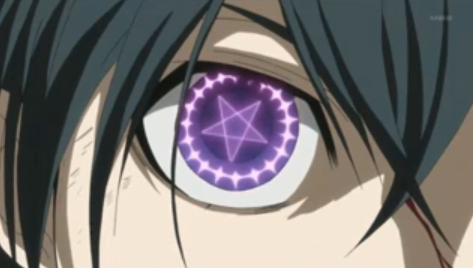 So, one day he makes a deal with a demon. 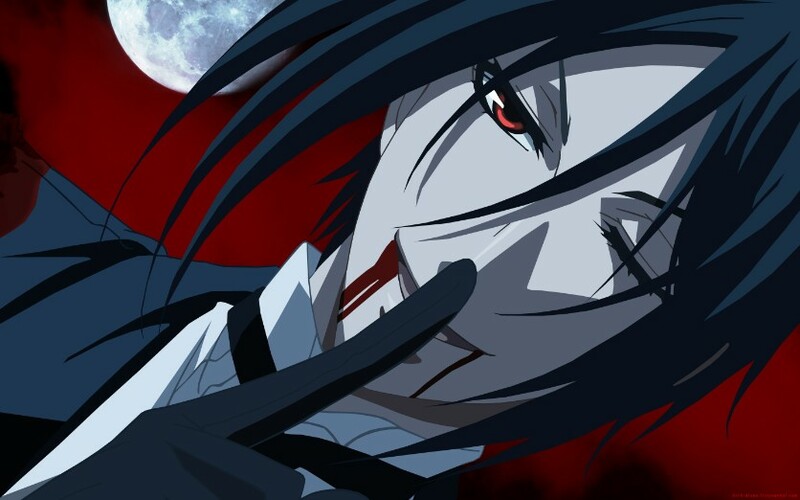 The demon will kill those responsible for the deaths of Ciel's mother and father, and one day, when the conspirator, or conspirators are put to death, the demon will swallow Ciel's soul. 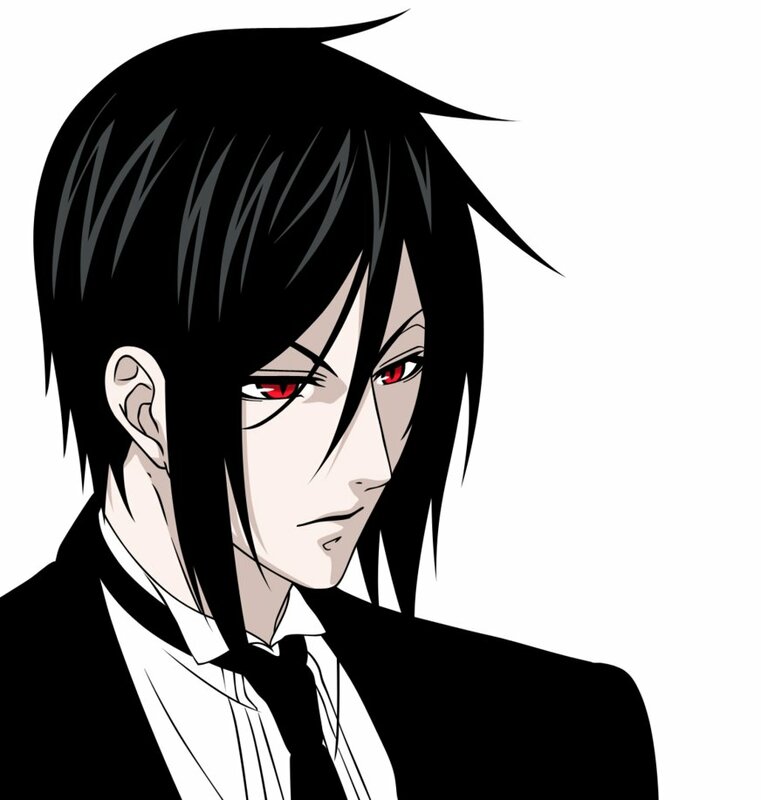 But in the meantime, the demon "Sebastian" will act as Ciel's butler. 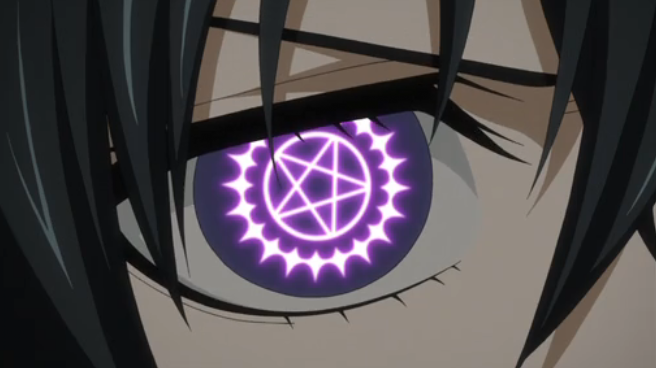 He is to obey Ciel's every command, no matter what. 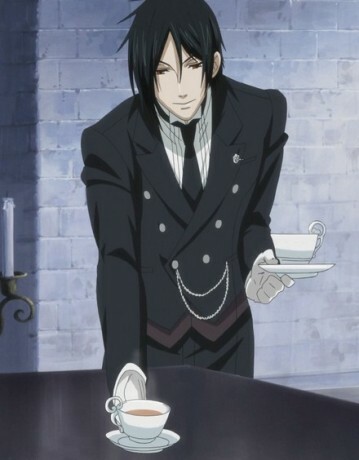 Not only because Sebastian is under contract, because he is simply, one HELL of a Butler. 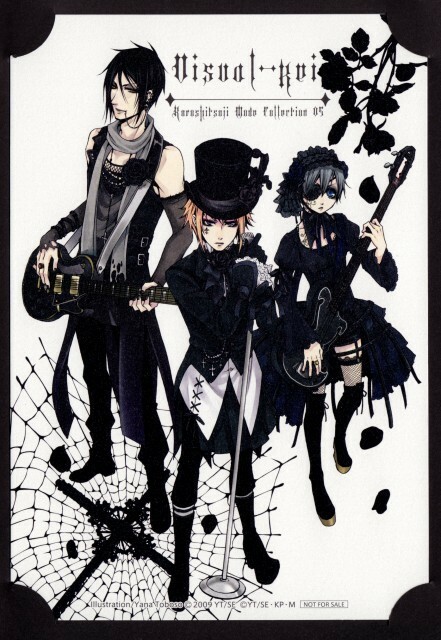 Below are a List of Characters from "Black Butler." 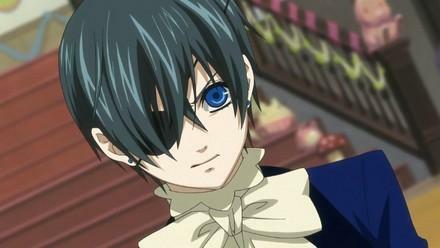 Ciel Phantomhive-The head of the Phantomhive household. Hie parents were murdered and a horrible fire was used to cover it up. 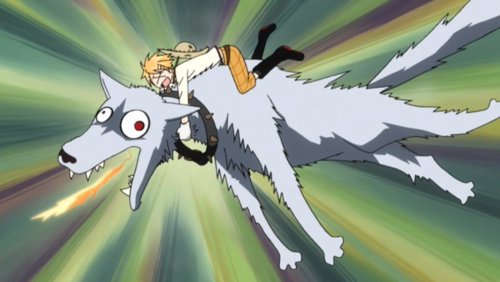 Since then, he had made a deal with a demon. 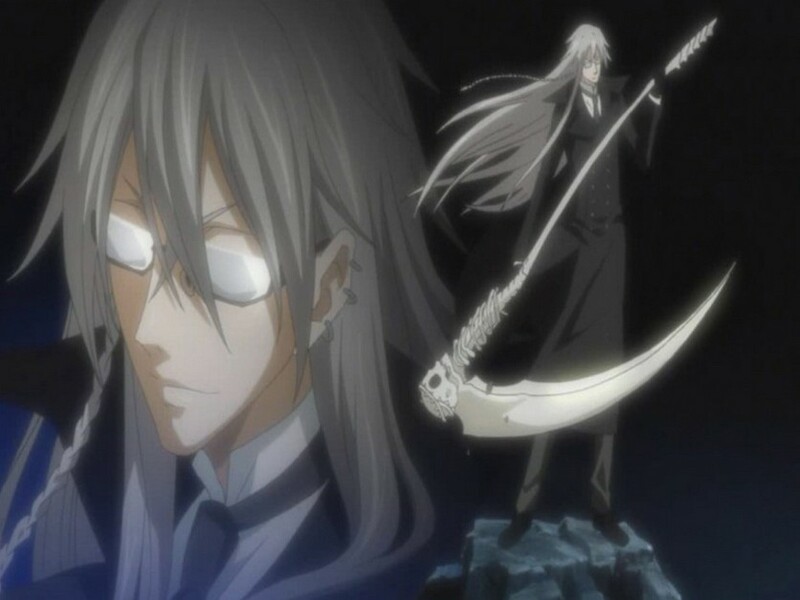 The demon is to kill all those responsible for his parent's deaths, and when he does, the demon may swallow Ciel's soul. 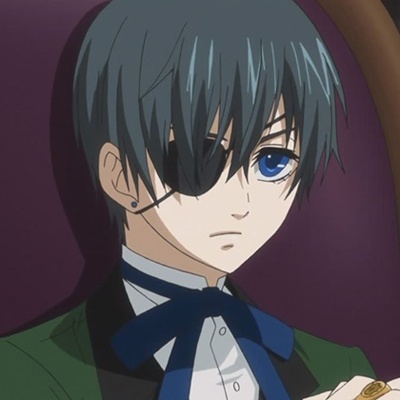 Even though Ciel is just a child, personalitywise, he is more of an adult than an actual adult. 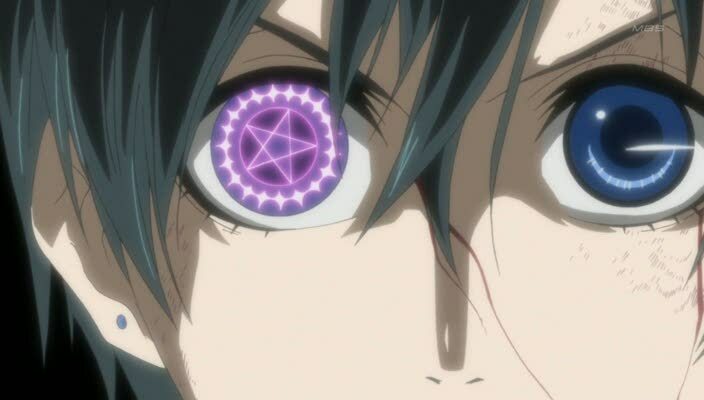 He wears an eyepatch, to keep his eye hidden, the eye has a pentagram symbol on it to which he can use to summon Sebastian and order him whenever he is needed. 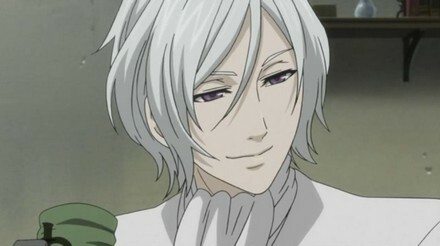 Though Sebastian does so regardless. 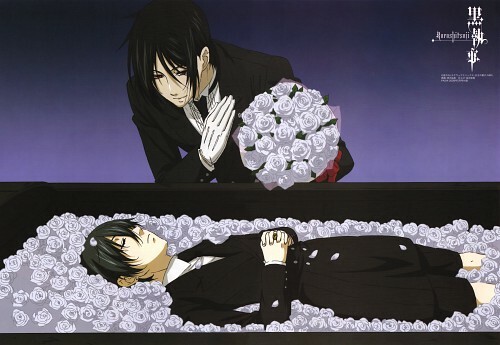 While waiting for the day Sebastian swallows his soul, he does errands for the queen. 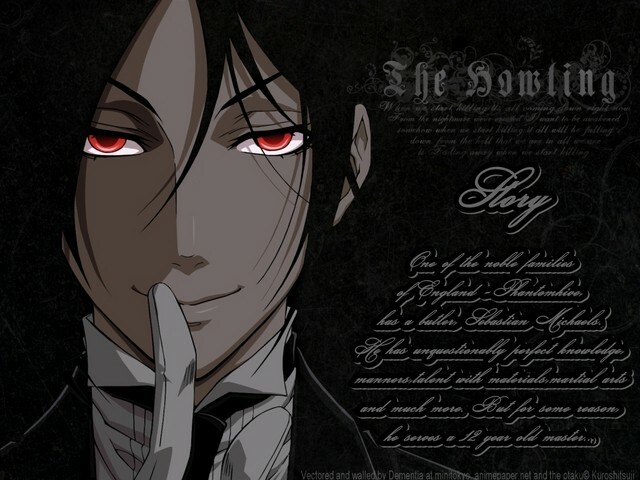 Sebastian Michaelis- The demon who Ciel made a deal with. 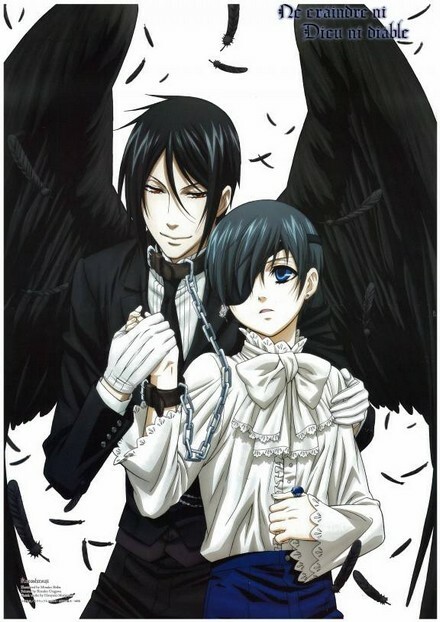 Sebastian was summoned to punish those responsible for the deaths of his master's(Ciel's) parents. 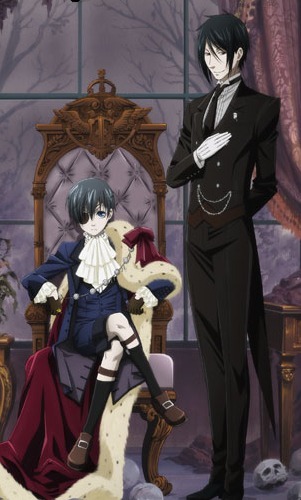 But in the meantime he acts as Ciel's butler, and obeys Ciel's every whim. 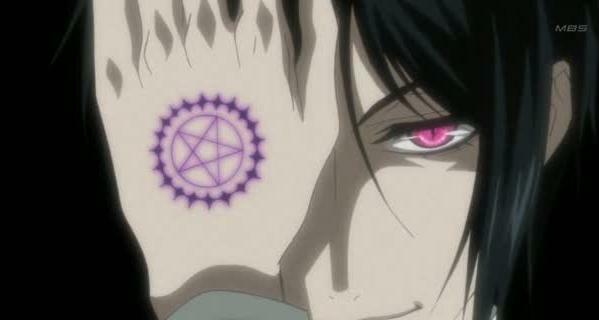 He has a symbol on his hand similar to the one in Ciel's eye. 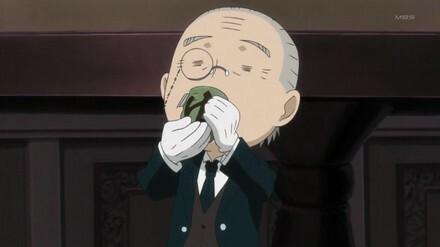 He is an expert on teas and cakes, but much more than that. 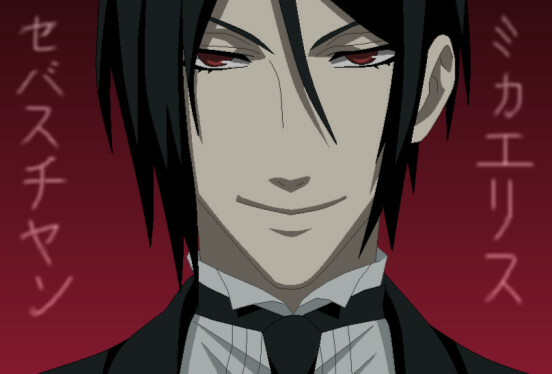 He will stay by Ciel's side to the very end when he swallows his soul. 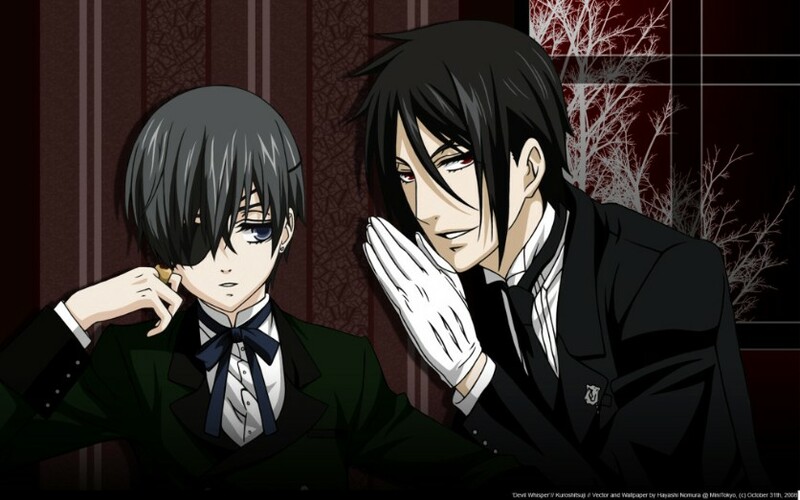 For you see......he is simply one HELL of a butler. 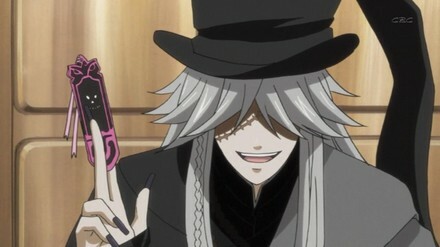 Bardroy-A servant to Ciel. 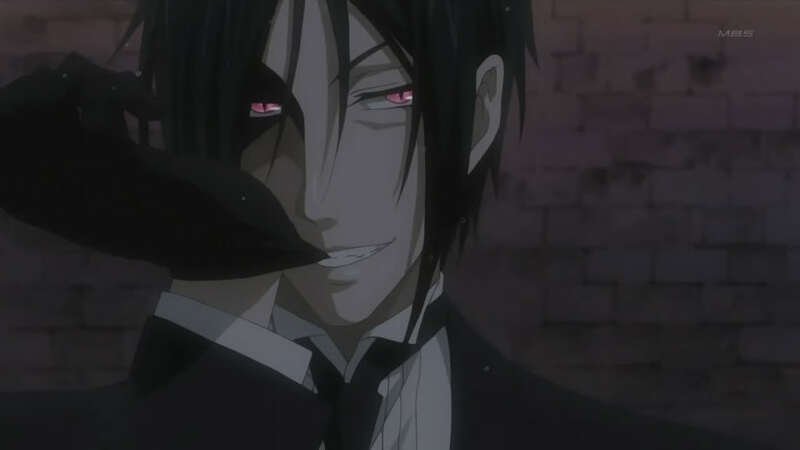 Sebastian recruted him. 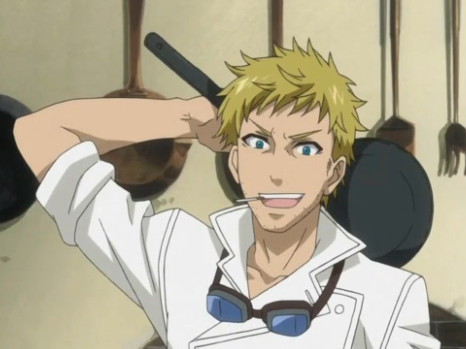 He is the cook but usually goes overboard and ruins everything. He is usually reffered to as "Bard". 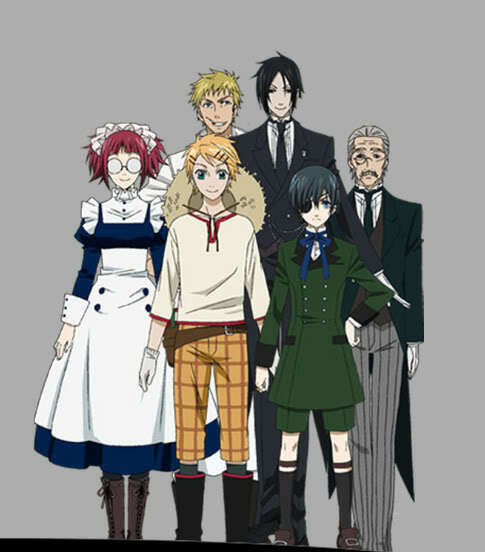 Finnian-Another servant to Ciel. 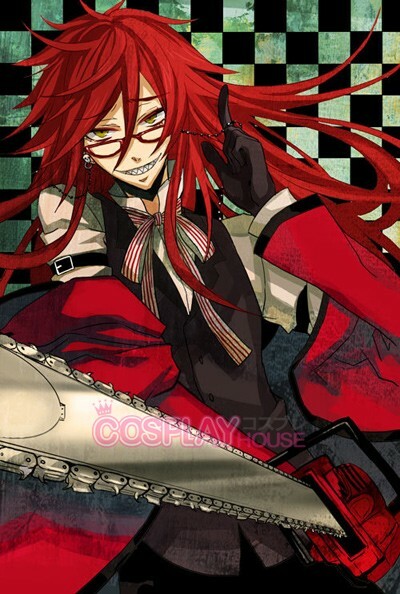 I'm not particullarly sure what he does, but he was also recruted by Sebastian. He has enourmous strength and usually makes a mess out of things. He is a very sensitive young man. He's usually reffered to as "Finny" or "Fin". 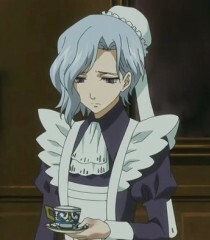 Mey Rinn- The maid at the Phantomhive household. 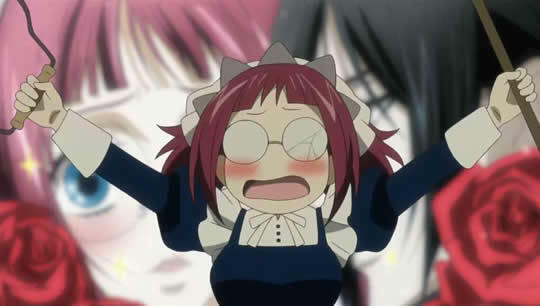 She's clumsy and ditzy. She wears glasses, yet they don't seem to help much. Tanaka- Little can be said about the man that does virtually nothing. He sits around sipping tea as a "chibi character" and rarely ever becomes "Real Tanaka". Though when he does he's very incisive and deep, but has only a fraction the normal stamina of a normal human, so can only stay as "real Tanaka" for a short while.